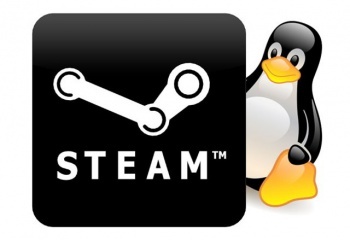 Linux and Mac OS's numbers dwindle even further in Steam's latest hardware survey. Every month, Steam asks users to submit hardware information in order to compile it into this neat little data chart, giving us a handy cross section of exactly what kind of hardware PC gamers are using. Despite Valve's big push to have Linux on Steam, the results of the survey has shown that Linux Steam users have dropped to a dismal 0.94% of all users, down from 1.05% last month. Mac OS's numbers are also down to 3.16%, from 3.32% last month. Windows is, on the other hand, up to 95.81%. Could these dwindling numbers be one of the factors behind Oculus Rift's decision to halt Mac and Linux development? After all, if such a minuscule percentage of your audience is using these OSs, it does seem like a waste of resources to develop for them. Other changes heralded by this month survey include the continued increase of 4 CPU adoption. 44.07% of Steam users are now using 4-CPU processes, compared to 48.42% still on a duo-core system. Nvidia still maintains a heavy lead in the graphics card wars, with 52.39% of the total share, compared to AMD's 27.95%.